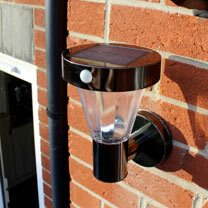 Solar powered wall light with sensor which turns on automatically at dusk and off at dawn. The light will stay at a very low-level light (10 lumens) until motion is detected within approximately 5-8 metres at which point brightness will increase to 220 lumens. 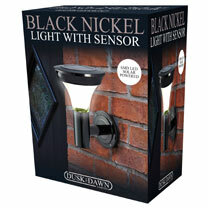 The brightness will reduce where motion has not been detected after approximately 20 seconds. 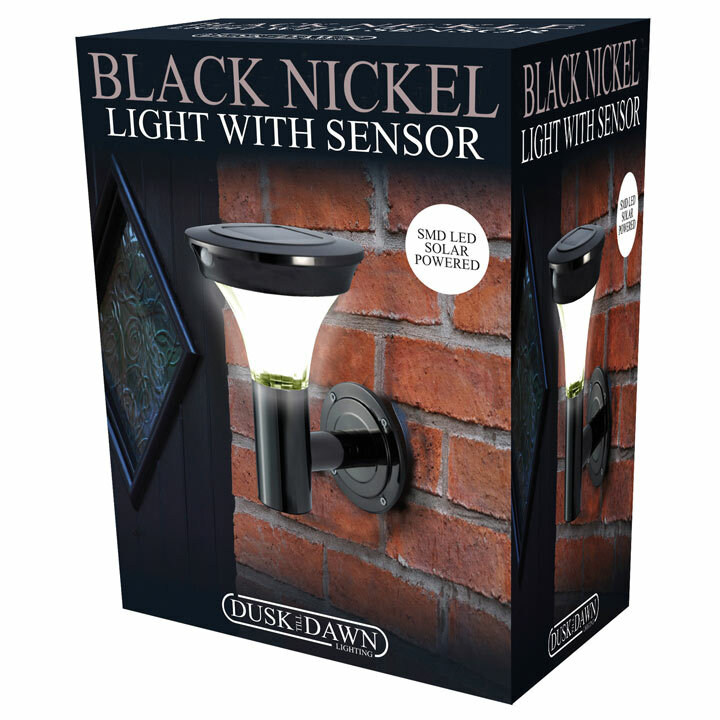 No wiring is required and rechargeable battery is included.